Classic Army is a leading manufacturer of Airsoft products, setting standards for the entire industry. This model of the R5 KEYMOD L AEG will ship directly from the manufacturing center. Additionally, R5 KEYMOD L AEG is priced lower since the product is coming from Hong Kong! This is literally one of the best deals on Earth considering the package can ship to any country where its legal. It's time to get your hands on this affordable deal coming straight out of the factory! 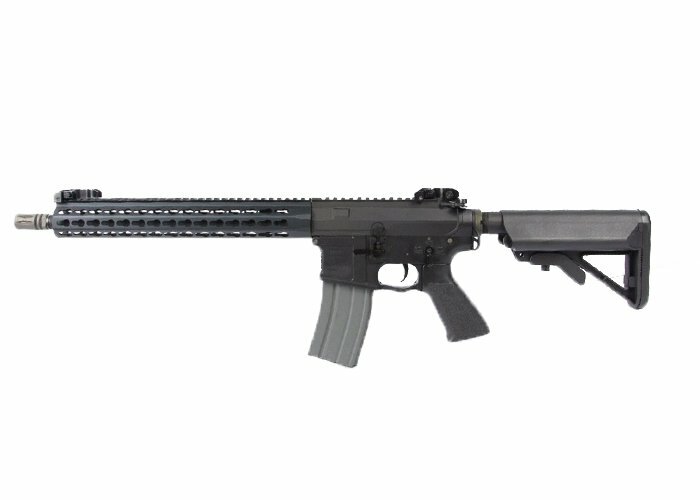 The Classic Army M4 10" ARSS4 Keymod carbine in a black finish is one of the newest rifles from Classic Army. The ARSS4 features a 10 inch keymod rail with keymod slots at the 3, 6, and 9 o'clock position, which provides plenty of space for mounting keymod accessories or keymod picatinny rails. Internally this gun features Classic Army's 9mm full metal gearbox with high torque steel gears, high torque motor, reinforced piston and a 6.03 tightbore barrel. These rifles also include a mosfet to protect your trigger contacts from shorting out. The black finish gives this rifle a very unique look and will stand apart from most rifles on the field. Step up to the plate with the Classic Army ARSS4 10" Keymod Carbine. Is the receiver and rail metal? What material is the receiver and rail?